The Lecht is one of the first areas to open describing snow conditions as hard packed with most runs complete and most lifts operating. There's a maximum 150m vertical. Cairngorm has also opened three easy runs served by two T Bar lifts in the Ciste and Ptarmigan bowls. 400 metres of vertical was possible above the 600m snowline. "There is lovely groomed snow, however some areas are quite narrow." said a resort statement. 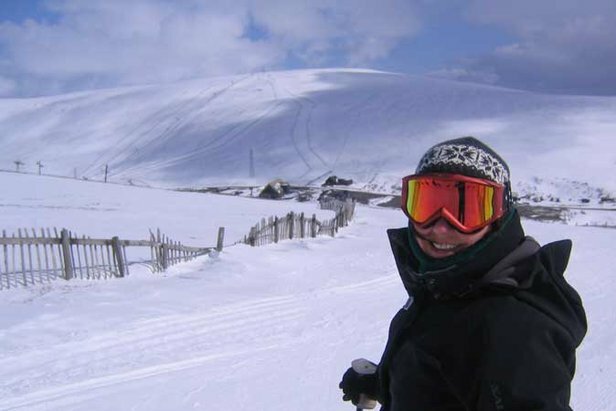 Glenshee has 300m of vertical, a statement from the centre said, "With the recent strong winds the snow cover varies from large accumulations to thin and narrow in places. All the runs are groomed with packed powder snow." On the West Coast plans to open Glencoe and Nevis Range have had to be delayed due to storm damage. At Glencoe, which had hoped to open on Saturday, the centre was left without powder and with two huts on the mountain ‘completely gone' from the bottom of the Access Chair and Plateau Poma following Thursday's storm. Staff worked all day to get the Access Chair back in operation and hope to be fully open on Sunday, depending on power being restored. "There has been significant new snow accumulations since Thursday morning, with cover to the foot of the Access Chair," said a resort statement. A statement from Nevis Range said that lifts have been derailed so staff could not access the hill in preparation for the planned opening weekend. Extra maintenance is now required which will take a lot longer than had been planned. "The good news is more snow is forecast into the coming week so the following weekend, when we are scheduled to open could be good!" said a statement from the centre. The gondola will now open fully for winter next Saturday 17 December when Nevis Range will also open for snowsports on Saturday 17 December, wind and snow conditions permitting.